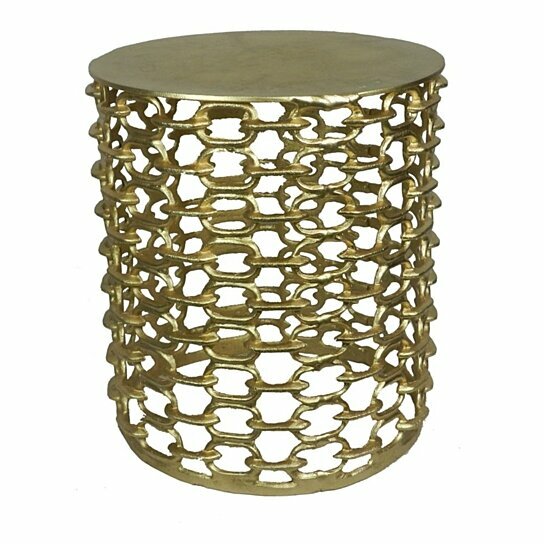 Make it a part of your living room or keep it in the garden, this stool will be an outstanding addition in your house. Made from good quality metal, it is sturdy and will last for ages. The stand of the stool features interlocking pattern. Washed in gold, it will offer a royal touch to the ambiance. You can use it to sit or to display a vase or your favorite figurine. Guests will be delighted to see such a sturdy stool and will want to own a similar one for them. It has attractive cylindrical shape and a round top.